What is your anticipated budget you need to stay within. No problem. TMC Construction has some of today’s top designers working in collaboration. With several years and numerous projects under their belt, our design team can provide you any sort of design you are looking for - Traditional, Cape Cod, Contemporary and so many more. 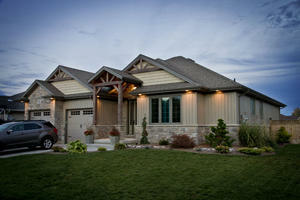 Our team will work with you hand in hand showing every aspect of what to expect in your custom home design. Check out our links area for information on seeing our design teams past projects. We hope that your journey through the building process will be an enjoyable one and remember we are here to help you in any way possible. If there is any way we can assist you in making decisions, or for more information please feel free to contact us anytime by email info@tmcconstruction.ca by phone at 519-436-1044, fax us at 519-436-0334.